This statement relates to actions and activities during the financial year 1 June 2018 to 31 May 2019. 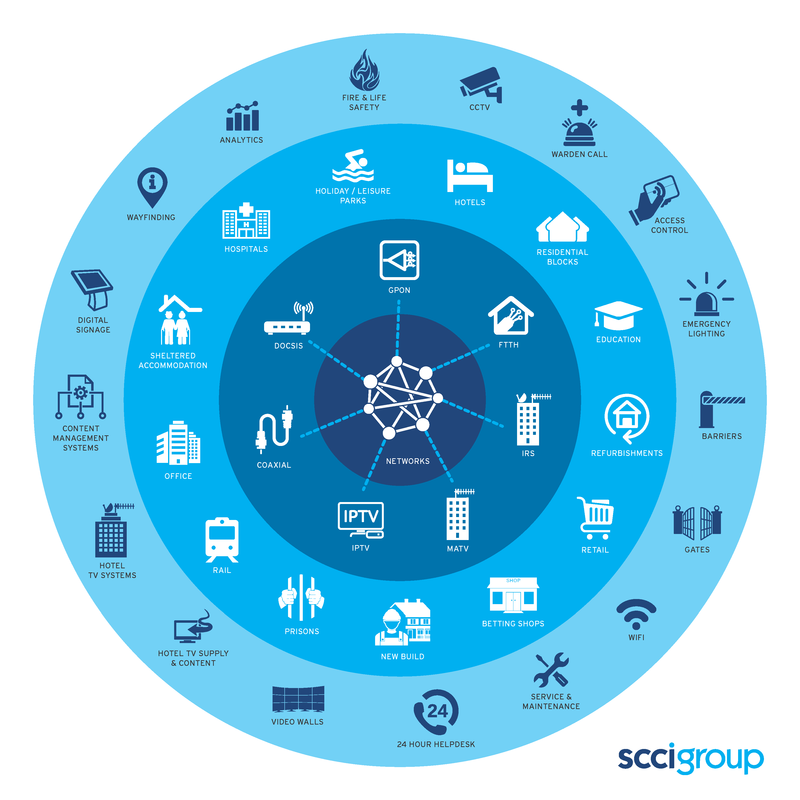 The SCCI Group comprises a number of subsidiaries, each providing a range of products and services to clients within and outside of the UK with a combined turnover in excess of £50 million. We are a market leader in the supply, installation and maintenance of Information technology hardware, software and associated distribution technologies in the Media sector across the UK and in a number of locations within Europe. The head office of each subsidiary is located within the UK and, combined, SCCI Group has over 380 employees operating predominantly within the UK. whether they are a regular high volume or one-off supplier. Sustainable Supplier Charter: a commitment to deliver ever more sustainable solutions for our people, our customers, the wider community and the environment in which we work and live by; promoting best sustainable practice and meeting or exceeding guidance set out by government and regulatory bodies. The charter includes requirements of suppliers in relation to ethical working and values. We expect all members of our Supply Chain to share our aims and objectives and to sign up to this Charter. Supplier Questionnaire: due diligence process implemented with existing and new suppliers to ensure their compliance with SCCI’s Sustainable Supplier Charter. Training and compliance programme: to raise awareness, continuously monitor and review the way in which each company and business of the SCCI Group interacts and engages with suppliers to ensure compliance with our programme to meet the objectives of the Modern Slavery Act. Programme of communication and training: to further raise awareness of Modern Slavery and Human Trafficking; the actions we can all take to ensure the promotion of and adherence to ethical working practices in all our business relationships. Implement investigation process: defining the process to be followed in the event of concerns raised specifically in relation to forced labour, human trafficking and / or slavery. SCCI is committed to ensuring that its suppliers adhere to the highest standards of ethics. Suppliers (of goods and services) are required to demonstrate that they source from their own ethical suppliers and also undertake their own business ethically, providing safe working conditions where necessary, treat workers with dignity and respect, and act ethically and within the law in their use of labour. The organisation works with suppliers to ensure that they meet the standards of the code. however, serious violations of the organisation's supplier code of conduct may lead to the termination of the business relationship where immediate corrective action is not taken. SCCI encourages all its workers, customers and other business partners to report any concerns related to the direct activities, or the supply chains of, the organisation. This includes any circumstances that may give rise to an enhanced risk of slavery or human trafficking. The organisation's whistleblowing procedure is designed to make it easy for workers to make disclosures, without fear of retaliation. SCCI ‘s code makes clear to employees the actions and behaviour expected of them when representing the organisation. The organisation strives to maintain the highest standards of employee conduct and ethical behaviour when undertaking the work of the Company, interacting with others and managing the supply chain. SCCI uses only reputable employment agencies to source labour and always verifies the practices of any new agency it is using before accepting workers from that agency. All employees involved in the procurement of goods and services on behalf of the SCCI Group, all directors and Board Members have been fully briefed in relation to the provisions of the Modern Slavery Act 2015 and SCCI’s programme to combat unethical working practices. SCCI continuously reviews training requirements and will provide further training in relation to ethical procurement as required.